We’re proud to announce that we are one of few select vendors carrying the brand new Visiontron PRIME economy crowd control line. 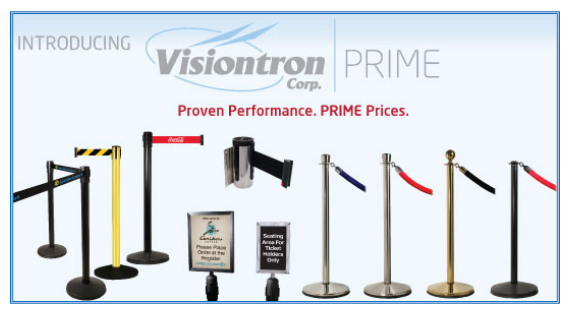 Visiontron Prime includes Retracta-Belt® PRIME stanchions, weatherproof outdoor stanchions, wall mounts, signage, and PRIME Conventional Post and ropes. Each item in the PRIME line is economically priced, featuring advanced queueing technologies and high quality materials. In short, all Visiontron PRIME products are built to last. A larger line: more accessories and upgrades than the competition, including a wider range of standard and custom finishes, belt end upgrades, and belt printing options. 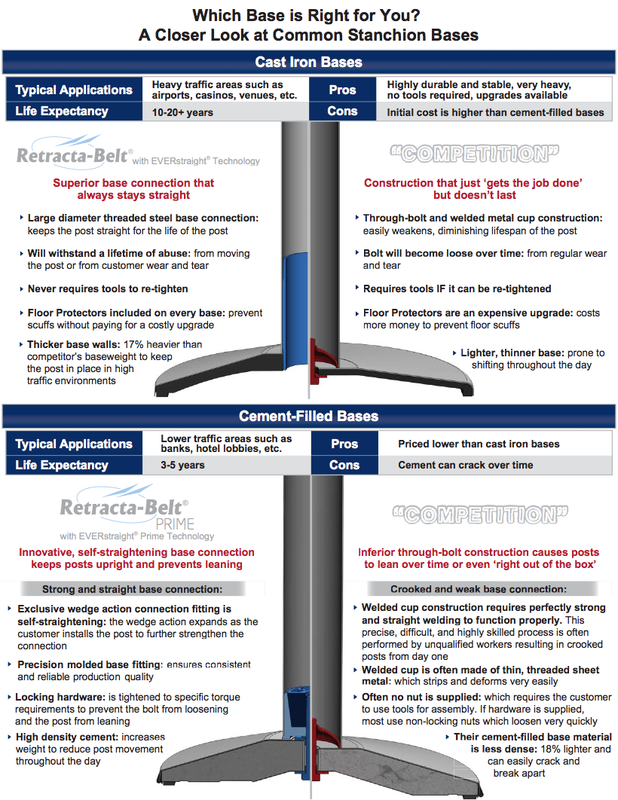 Check out the flier (pictured below) to learn more about the Retracta-Belt PRIME with EVERstraight technology. And for more about the rest of the line, keep checking the LineLogic blog, as we’ll be be posting about all of the PRIME products in coming weeks. To learn more, explore the product line, or inquire about pricing, give us a call – 1.888.404.7892 x404. Just ask for Ben!